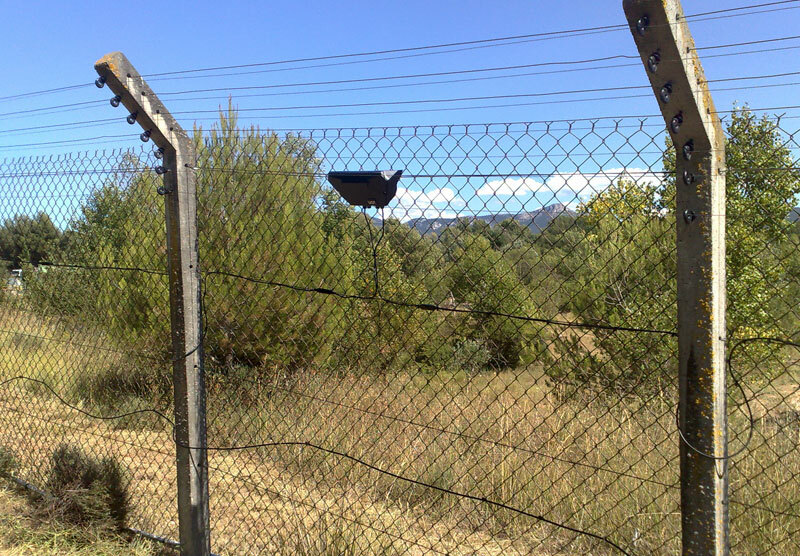 G-FENCE 600 – 600 z is a fence-mounted intrusion detection system for perimeters up to 2000 feet (600m). 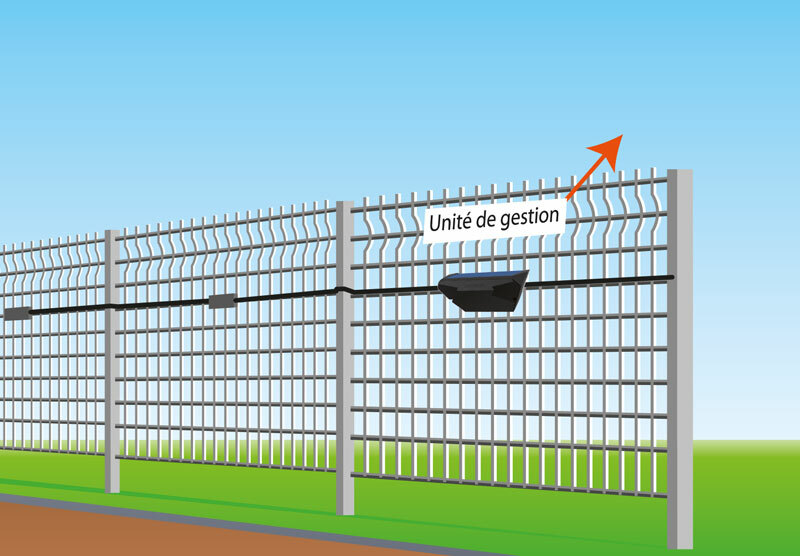 G-FENCE 600 – 600 z is made up of accelerometer detection sensing devices and passive cables (that carry communication and power) connected to a control unit which together detect vibrations caused by climbing on, cutting or lifting of the fence. When an intrusion occurs, the accelerometer transmits information to the control unit for analysis after which an alarm is generated if the activation threshold is reached. Supplied with 12Vdc, the self-contained control unit can be installed inside or outside the building. It can manage 2000 ft. (600m) of cable distributed in 2 directions of up to 1000 ft. (300 m) each. Each 300 foot (100 m) of cable section is equipped with 40 sensors, i.e. 1 sensor per panel and up to 120 sensors per cable direction. Upon an intrusion, alarm information is transmitted from the control unit by dry contacts. G-FENCE 600 – 600z is suitable for perimeters of up to 2000 feet (600 m) in facilities such as industrial and critical infrastructure sites that require a high level of security with a modest budget. System installation and maintenance is easy. Passive cable is easily affixed to the fence using tie wraps. 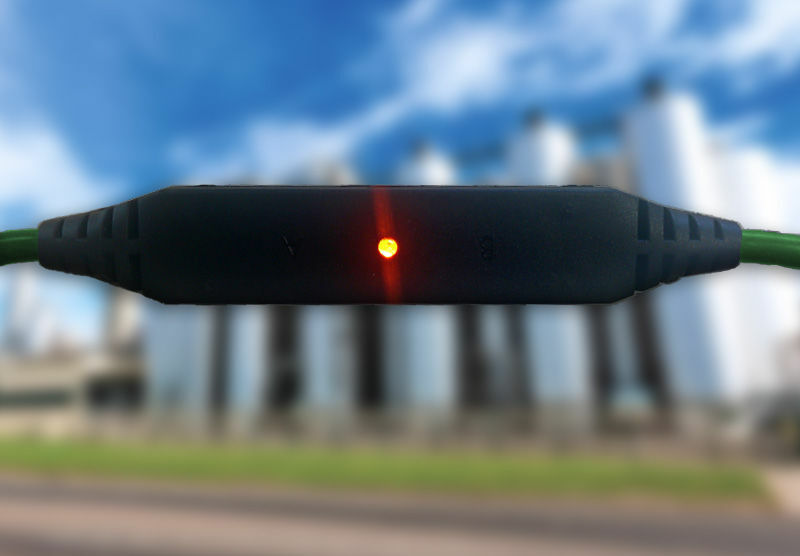 Accelerometer sensors automatically calibrate and the Control Unit can be set-up remotely from inside the building where a 12Vdc power source is available. The G- FENCE 600 – 600z is easy to maintain (remotely if required) and sensitivity adjustments are made through an integrated web server. Time-stamped logs (for intrusion location) are directly available via Ethernet link. Detector cables must be installed in the middle of the fence panel with cable ties supplied. Sensor is affixed by tightening one of the cable ties on the fence mesh. 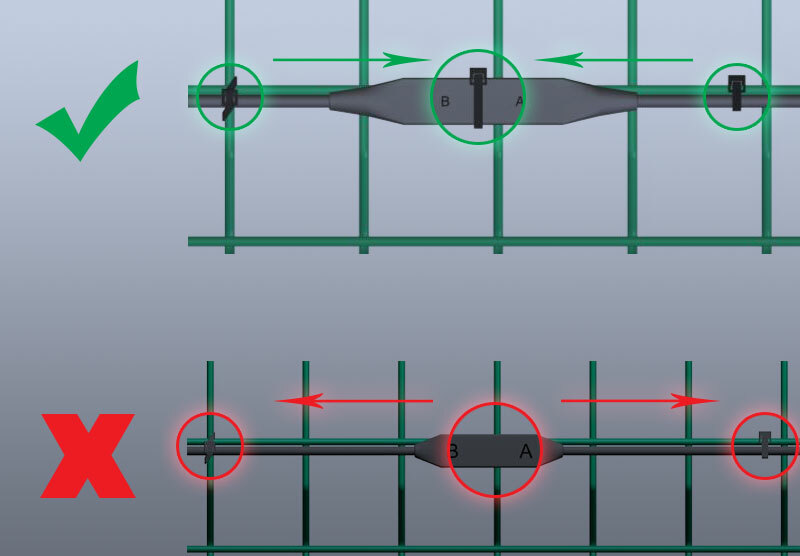 To optimize sensor detection, it must be placed in the middle of the panel. Entrances and gates: use at least a 0.6mm² standard cross-section cable with a maximum length of 200m per entrance or gate. To secure a fence and detect any intrusion attempt, a detector cable is installed on the fence. During an intrusion, the sensors will detect vibrations on the fence and send information to the Control Units, which in turn analyzes the information received before triggering an alarm, or not. The cable is pre-assembled with -easy-to-install sensors helping to reduce installation costs.